I'm just a few days away from my trip to Odyssey Writing Workshop, which unfortunately means I won't be able to visit any other IWSG blogs today as I make my final preparations. 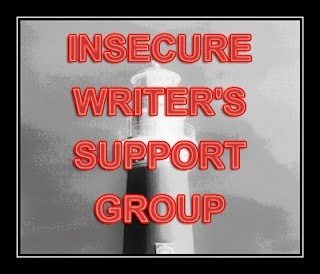 I have, however, opened the blog to guest posts while I'm away, and author Henry J. Olsen was gracious enough to write an inspirational piece for the Insecure Writer's Support Group on my behalf. If you like what you read, consider checking out his website for more. Better yet, buy his book! There is no single blueprint one can follow in his or her quest toward becoming a secure, confident writer. Yet for many, there are three phases in the journey: the dream, the doubt, and the determination, as I've laid out below. For most of us writing begins as a dream, in which we envision ourselves churning out page after page of gripping, tension-filled literary drama. We imagine that the stories inside of our heads will flow out from our brains, through our hands, and into our notebooks or computers in a smooth and seamless fashion, requiring only a bare minimum of rewriting and editing. Many people never venture beyond the dream, and thus their desire to write remains forever an unblemished fantasy. And perhaps that's just as well, for as with most dreams, the dream of being a writer is far more idyllic than the reality. Those who proceed forward may be surprised at what awaits. One day, you take a leap of faith and begin to write. Suddenly, the dream becomes reality, but not in the way that you'd expected. Though you do in fact type page after page of text, you quickly realize that your work is nowhere near as intriguing as it seemed while the ideas were still brewing in your head. You reread your sophomoric prose and wonder how real writers craft sentences that are concise yet full of vivid imagery. You begin to wonder why you ever chose to write at all, and worry that perhaps never will you create a story that you, much less anyone else, will enjoy and appreciate. What's worse is that you often can't keep your doubts to yourself. When friends and family ask what you're writing about, you struggle to describe your story in a way that piques their interest. When new acquaintances ask you what you do, you meekly tell them that you're a writer, finding the look of doubt in their eyes regardless of whether it truly exists or not. What you don't yet realize is that the doubt you see in others is merely a reflection of the unease within yourself. No writer can exist in this state forever, yet how best can you escape it? One option is to give up. Few will fault you if you do. The other option is to push through the doubt, accepting that you may never escape it completely, and to write and create with a renewed determination. The determination isn't a thing you discover overnight. Rather, it's a feeling that grows as you push through your doubts and continue to write, eventually finding that despite your doubts, you do possess a certain pride in your abilities as a writer. It's the belief that with effort you can improve, and that it is possible to blossom into the writer that you've always dreamed of becoming. Each day you come closer to understanding what it truly means to be a writer and not merely a doubt-filled impostor, frantically pounding away at the keyboard. With each chapter written you come a little closer to realizing that your voice as a writer isn't something you find, but rather a property that you develop over time. And finally, you come to see that if in your interpersonal interactions you express yourself with confidence, the people you describe your work to are often legitimately curious as to what you're writing about. Determination can't completely replace doubt, yet in my experience I've found that adopting the right mindset is 90% of the battle against insecurity. How do I know this? I know because my name is Henry J. Olsen, and I too am an insecure writer. Yet as of today, June 5th, I am not just a writer — I am also a freshly minted indie author. And though my book, The Northland Chronicles: A Stranger North, isn't likely to be mentioned alongside The Caves of Steel or Stranger in a Strange Land anytime soon, I'm still extremely proud of it, and I'd love if you could join me for a post-apocalyptic romp through the Northwoods. JW! Sorry I've been neglecting your blog lately. RL has been getting in the way of everything, whew! Anyway, love the three Ds. Great guest post and I'm happy to be reading your blog again! Wow, you captured the writing journey exactly. I find the doubt stage can be filled with giving up and trying again multiple times before you realize you want it bad enough not to give up again. Congratulations on your book, Henry! Thank you, Krystal! I'm glad you appreciated my post. I think sometimes giving up isn't such a bad thing, by the way, as long as it's temporary. Sometimes you need to step away from what you're working and wait for a flash of fresh inspiration. Congratulations, Henry! You pushed through and you did it. Thank you, Alex -- it's been quite the journey. Which isn't to say it's over just yet! Doubt just gets worse when you dwell on it. Good points. And not just in writing -- I feel this holds true in most all aspects of life. I know I still struggle to break out of the "doubt feedback loop" at times. Writing is a dream, and it's also a whole lot of work. Stick to it and make it happen if that's what you really want. I agree, M.J -- it's certainly a lot more work than most people realize, and yet I try to savor every little bit of the journey. Hello J.W. I found you thanks to the IWSG list. Enjoy the writer's workshop. I hope all goes well. Henry: This is a WONDERFUL post! Thank you for the candid picture of a writer from dream to the pushing through to accomplish that dream. Congrats on your own success! Nice to "meet" both of you! Thank you very much, Jen :) As an insecure writer, it means a lot to me when I know that people read and enjoy the things I write, non-fiction included! Having the right mindset is definitely one of the most important things when it comes to achieving anything in life -- particularly in the artistic realm, where we often don't have a logical, objective scale to measure our work with. Inspirational. I always enjoy Henry's writing; he was a very down-to-earth and honest tone. Looking forward to what he writes next.